Worked extensively towards reestablishing Tibetan Buddhism and bettering social welfare in his home region. Tenzin Delek Rinpoche is a Tibetan monk and spiritual leader who has been in prison since 2002, and is serving a life sentence for "crimes of terror" and "incitement of separatism." He continues to assert his innocence. Before his arrest, Tenzin Delek Rinpoche sought to strengthen the Tibetan community, including by working to build schools, monasteries, and medical facilities, and by reaching out to the poor. Tenzin Delek Rinpoche supported the Dalai Lama, developed Tibetan cultural and religious institutions, and was also active in the local environmental movement, speaking out against deforestation practices that were harmful to the local community. Tenzin Delek's activism on this range of issues made him a target of the Chinese authorities, who for ten years attempted to limit his work and influence. He was detained and then arrested on April 7, 2002, accused of involvement in a series of bombings in Sichuan Province between 1998 and 2002. Another Tibetan, Lobsang Dondrup, had been arrested for an April 3, 2002, bombing in Chengdu, and the authorities stated that he linked Tenzin Delek Rinpoche to the bombings in his confession, though no record of the confession exists. Following his arrest, Tenzin Delek was held incommunicado for eight months. On November 29, 2002, his trial with Lobsang Dondrup opened at the Ganzi Tibetan Autonomous Prefecture Intermediate People's Court [甘孜藏族自治州中級人民法院]. During the trial, no evidence other than the confession of Lobsang Dondrup was offered to link Tenzin Delek Rinpoche to the bombings, and Tenzin Delek Rinpoche maintained his innocence throughout. Moreover, he had no access to the lawyer his family had appointed for him, and despite his final conviction, no court documents have since been released by the court, shrouding the proceedings in secrecy. On December 2, 2002, Tenzin Delek Rinpoche was convicted of "causing explosions [and] inciting the separation of the state" and was sentenced to death with a two-year reprieve. Tenzin Delek Rinpoche appealed the conviction, but his appeal was denied by the Sichuan Higher People's Court, which subsequently commuted his sentence to life imprisonment in January 2005. Lobsang Dondrup was sentenced to death on the basis of his confession on November 29, 2002; he refused to appeal and was executed on January 26, 2003. Tenzin Delek Rinpoche is currently held in Chuandong No. 3 Prison in Tazhu County, Sichuan Province. He initiated a hunger strike on January 6, 2003, to protest his ill-treatment in detention and the denial of a fair trial by the authorities. He is reported to be in poor health due to pre-existing medical conditions, prolonged hunger strikes, and alleged torture while in prison. According to advocacy groups, Tenzin Delek Rinpoche is receiving medication and quarterly checkups in prison. The United States and the European Union have repeatedly raised Tenzin Delek Rinpoche's case with the Chinese authorities, calling for increased transparency on his current condition and his immediate release from prison. European Parliament: Adopted a resolution on Tenzin Delek Rinpoche in 2005, calling on the Chinese government to report on his state of health, to release Tenzin Delek Rinpoche, and to allow the UN Special Rapporteur on Torture to visit him. The UN Special Rapporteur on Torture was granted a visit to China in December 2005. United States: The U.S. Senate unanimously adopted a resolution in December 2004, calling on the Chinese government to release Tenzin Delek Rinpoche along with other political prisoners in Tibet. United Nations special procedures have also asked for more information about Tenzin Delek Rinpoche's status in detention, urging in particular greater transparency and information about allegations of torture. In response to reports of Tenzin Delek Rinpoche being tortured in detention, the Special Rapporteurs on torture, extrajudicial, summary or arbitrary executions, freedom of religion or belief, and the independence of judges and lawyers sent a joint urgent appeal on October 19, 2004, requesting information about his health in prison. On December 14, 2004, the Chinese government replied, stating procedures had been followed in accordance with Chinese law. The Special Rapporteur on freedom of religion or belief sent a communication to the Chinese government on April 11, 2003, asking for information about reported procedural irregularities in Tenzin Delek Rinpoche's trial. The Chinese government sent a reply on October 14, 2003, stating that both Tenzin Delek Rinpoche and Lobsang Dondrup had enjoyed all the guarantees of a fair trial. Conviction: "I was wrongly accused"
Tenzin Delek Rinpoche was born in 1950 in Lithang (Chinese: Litang) County, Garze Tibetan Autonomous Prefecture, Sichuan Province, with the birth name of Ngawang (also A-ngag) Tashi. He was a student of Tibetan Buddhism, joining Lithang Monastery when he was seven years old. He worked extensively towards reestablishing Tibetan Buddhism and bettering social welfare in his home region. Tenzin Delek Rinpoche left China for India in 1982 to further his religious education. A year later, in 1983, the Dalai Lama pronounced him to be a tulku (reincarnated lama). Rinpoche is Tenzin Delek's religious honorific title. He returned home to Garze in 1987. Following his return, Tenzin Delek Rinpoche worked to reestablish Tibetan Buddhism and maintain traditional religious practices by building schools, monasteries, medical facilities, and homes for the elderly. He reached out to the poor, offering them education, food, and shelter within the monastic schools, which often emphasized religious and traditional education. He also became active in the environmental movement, speaking out against deforestation practices that were harmful to the local community. Tenzin Delek Rinpoche was a trusted member of the community. Residents often came to seek his assistance—rather than that of local officials—in mediating disputes, some of which involved speaking to government officials at the provincial and national levels. However, his relationship with the authorities soured considerably in the early 1990s, when he succeeded in stopping a deforestation project that local officials were allegedly pursuing in their own self-interest. Supporters report that this incident, together with Tenzin Delek Rinpoche's expressed support for the Dalai Lama, motivated government officials to take action against him. Authorities were reportedly also irritated at his growing personal influence over the community. Tenzin Delek Rinpoche was arrested on April 7, 2002, and was held incommunicado for almost eight months before his trial. Family members hired two prominent Beijing attorneys, Li Huigeng and Zhang Sizhi, to represent Tenzin Delek Rinpoche, but on December 29, 2002, Wang Jinghong, a Sichuan Provincial Court judge, refused to allow the two lawyers to represent him. The government states that it appointed attorneys to defend Tenzin Delek Rinpoche, but it is not known what role, if any, the government-appointed attorneys played in defending him because court papers have never been made public. Public observers were not permitted at the trial, and only two of Tenzin Delek Rinpoche's relatives were permitted to observe. Tenzin Delek Rinpoche was sentenced to death with a two-year reprieve on December 2, 2002; Lobsang Dondrup was sentenced to death. Both were reportedly convicted only on the basis of Lobsang Dondrup's confession, of which there is no record. No other evidence was offered to link Tenzin Delek Rinpoche to the bombings of which he was accused. After the sentence was announced, Tenzin Delek Rinpoche reportedly shouted his innocence and the innocence of Lobsang Dondrup. Tenzin Delek Rinpoche also added that he would rather be put to death immediately rather than take the two-year suspension. In an interview with Radio Free Asia, a judge who identified himself as "Director Zhao," head of the Ganze Judiciary, stated that Tenzin Delek Rinpoche had "accepted his responsibility in five of the six explosions," but he did not state whether Lobsang Dondrup had confessed. Also, on January 26, 2003, Xinhua reported that Tenzin Delek Rinpoche's appeal was rejected and stated that both Tenzin Delek Rinpoche and Lobsang Dondrup had confessed. However, in a tape recording smuggled from a detention center in Dartsedo (Chinese: Kangding) County, Sichuan Province in mid-January of 2003, Tenzin Delek Rinpoche maintained his innocence, stating, "Whatever [the authorities] do and say, I am completely innocent," and, "I was wrongly accused because I have always been sincere and devoted to the interests and well-being of Tibetans." On January 4, 2005, the state-run Xinhua News Agency reported that Tenzin Delek Rinpoche's sentence had been commuted to life imprisonment because he "abid[ed] by the rules in jail and commit[ted] no further crimes." HRIC advocacy and media work on behalf of Tenzin Delek Rinpoche includes press releases, statements, and case updates to generate international attention and pressure for his release. To subscribe to HRIC's press list and receive updates on the case of Tenzin Delek Rinpoche and other human rights defenders, please e-mail communications@hrichina.org with "SUBSCRIBE" as the subject heading. For more information on death sentences handed down with a two-year reprieve (sixing huanqi liangnian zhixing), see "HRIC Brief: China's Death Penalty Reforms," China Rights Forum 2 (2007), http://hrichina.org/public/PDFs/CRF.2.2007/CRF-2007-2_Penalty.pdf. Human Rights Watch, "Introduction," Trials of a Tibetan Monk: The Case of Tenzin Delek, February 2004, Vol. 16, No. 1, http://www.hrw.org/reports/2004/china0204/china0204.pdf. Written Statement by the Society for Threatened Peoples, "The Independence of Judiciary in the People's Republic of China, 59th Session of the Commission of Human Rights. Item no. 11d of the Agenda," Gesellschaft für bedrohte Völker, March 17, 2003, http://www.gfbv.de/inhaltsDok.php?id=351. 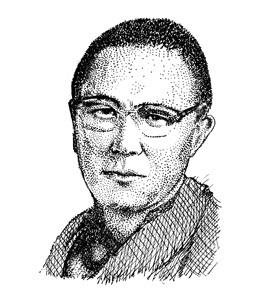 Human Rights Watch, Trials of a Tibetan Monk: The Case of Tenzin Delek, February 2004, Vol. 16, No. 1, http://www.hrw.org/reports/2004/china0204/china0204.pdf. "Tibet Press Watch," Volume XI, Issue 2, March/April 2003, International Campaign for Tibet, http://www.savetibet.org/documents/pdfs/tpw/TPW200302.pdf. Office of Tibet New York, "ICT Calls for The Immediate Release of Tenzin Delek Rinpoche," January 26, 2005, http://www.tibetoffice.org/en/index.php? "European Parliament Joint Motion for a Resolution," document 26.10.2005 B6-0562/2205, October 26, 2005, http://www.guengl.eu/upload/docs/JTib-en.doc. The government had extended an unconditional invitation to the then Special Rapporteur, Theo van Boven, in the spring of 2004 for a two-week visit in June of that year, but this was postponed by the Chinese. Upon Manfred Nowak's appointment as Special Rapporteur on Torture in December 2004, the government of China renewed its invitation for a visit in 2005, accepting his Terms of Reference. "US Senate pass resolution on Rinpoche's release, HR in Tibet," http://www.tibet.com/NewsRoom/tenzindelek7.htm. Tibetan Centre for Human Rights and Democracy, "Leading Tibetan social activist arrested," April 18, 2002, http://www.tchrd.org/press/2002/pr20020418.html. United Nations Economic and Social Council: Distr. General E/CN.4/2005/60/Add.1: Commission on Human Rights: Sixty-first session, Item 11 of the provisional agenda: Civil and Political Rights, Including the Questions of: Independence of the Judiciary, Administration of Justice, Impunity, Report of the Special Rapporteur on the independence of judges and lawyers, Leandro Despouy, submitted in accordance with Commission on Human Rights resolution 2004/33, Addendum: Situations in specific countries or territories. Available at http://ap.ohchr.org/documents/dpage_e.aspx?si=E/CN.4/2005/60/Add.1. "TCHRD Tenzin Brochure," Tibetan Centre for Human Rights and Democracy, 2005, http://www.tchrd.org/publications/brochures/trulku_tenzin_delek-brochure.pdf. See Human Rights in China, State Secrets: China's Legal Labyrinth, June 2007, http://www.hrichina.org/public/contents/41421. "Tibetans Were Denied Lawyers in Bomb Trial," Radio Free Asia, December 6, 2002, http://www.rfa.org/english/news/94420-20021206.html. "Two Tibetans sentenced to death in SW China," Xinhua, January 26, 2003, http://au.china-embassy.org/eng/zt/zgxz/t45496.htm. "Tibetan Monk Protests Innocence in Smuggled Audiotape," Radio Free Asia, January 21, 2003, http://www.rfa.org/english/news/97358-20030121.html.